Inspired by Food & Drink Magazine I set on making quinoa risotto. 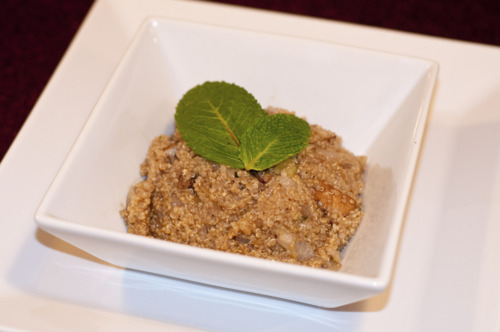 Quinoa, if you didn’t know, originates from South America and is a seed that’s very high in protein. You can cook it like rice but unlike rice it has great nutritional value. Apparently quinoa requires very little pesticides because it has a very bitter coating (which is removed in processing) making it a very environmentally sustainable protein-source. 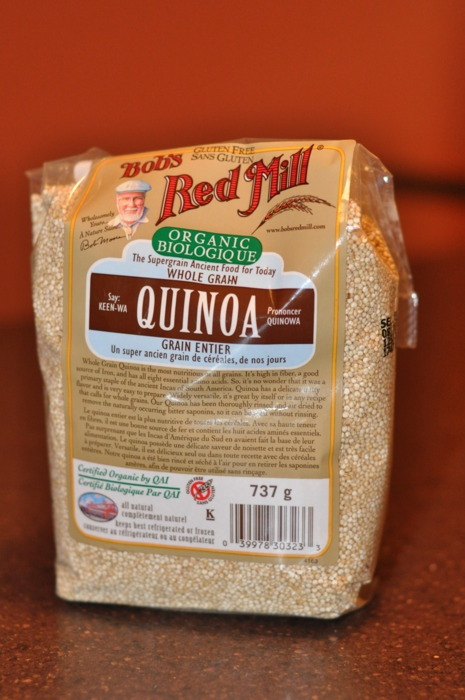 It’s also a good alternative to cous cous if you’re looking to lower your gluten intake. For the risotto I first boiled 1 cup of quinoa in 2 cups of vegetable broth and then simmered for 15 minutes - just like making rice. I found it took a bit less time so just watch the quinoa around the 10 minute mark to see when all the water has absorbed. I then sautéed the onion, garlic and mushrooms. Once the quinoa had finished cooking I added it to the mixture and added in the chopped mint along with a splash of balsamic and lemon juice. 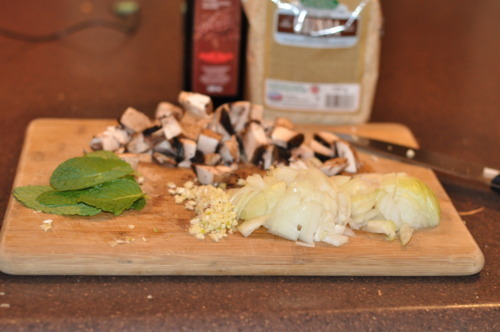 The balsamic adds a hearty type flavour but if you add to much it gets too vinegary. I’m not sure what I can add to offset the flavour - maybe some honey. The amazing thing about quinoa is it leaves you feeling satiated for a long time without feeling stuffed. I think calling it a superfood is not too far off.